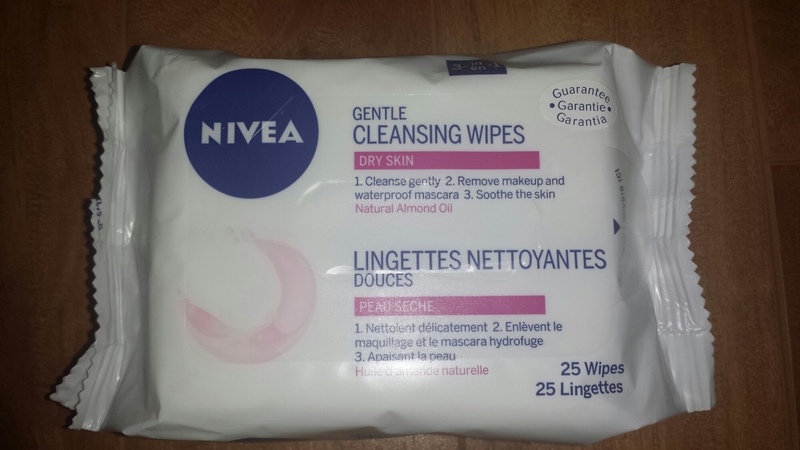 Nivea 3-in-1 Gentle Cleansing Wipes. The Nivea 3in1 Gentle Cleansing wipes are so easy to use and refreshing on your face. They glide easily and it makes my skin feel soft and cleansed. My skin was not at all irritated by these wipes. I found it gentle enough to be a eye make up remover as well. What surprised me the most was that there was no residue at all after removal! I did not feel any slipperiness or that dry-oil texture that sometimes remains after using a wipe. I normally follow with a cleanser but with these wipes I decided not to. Overall I really love this product and would definitely recommend it to others. 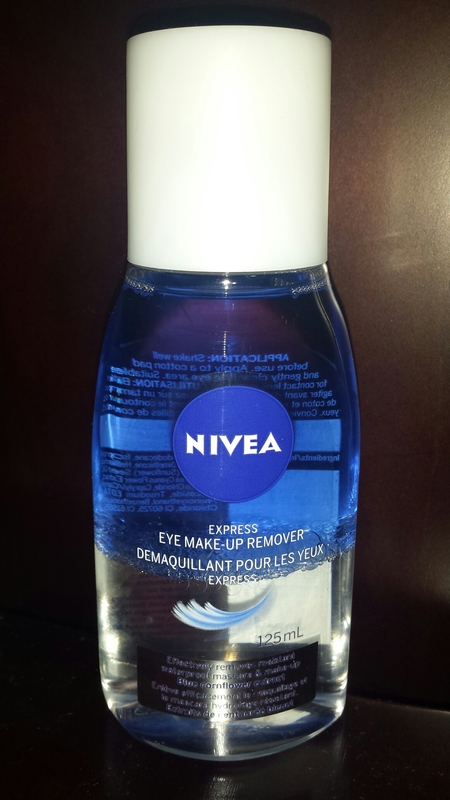 The Nivea Express Eye Make-Up Remover is a good make-up remover for an affordable price. It has an oily consistency but I find that it does not leave much residue. It removes my make-up (mascara, eyeliner and eyeshadow) quite well. With this product I do not need to tug on my eye to remove makeup, which is very good as the skin around the eye is so thin and delicate. I simply soak a cotton pad with the remover and then press it over my eyelashes, hold it for a few seconds and then wipe off the mascara. It works well and a little goes a long way. Overall I am very impressed with this product and I would definitely recommend it to others.